Sunday School is held from September thru May for those age 3 thru 4th grade. Music is part of Sunday school and the children sing at worship about once per month. 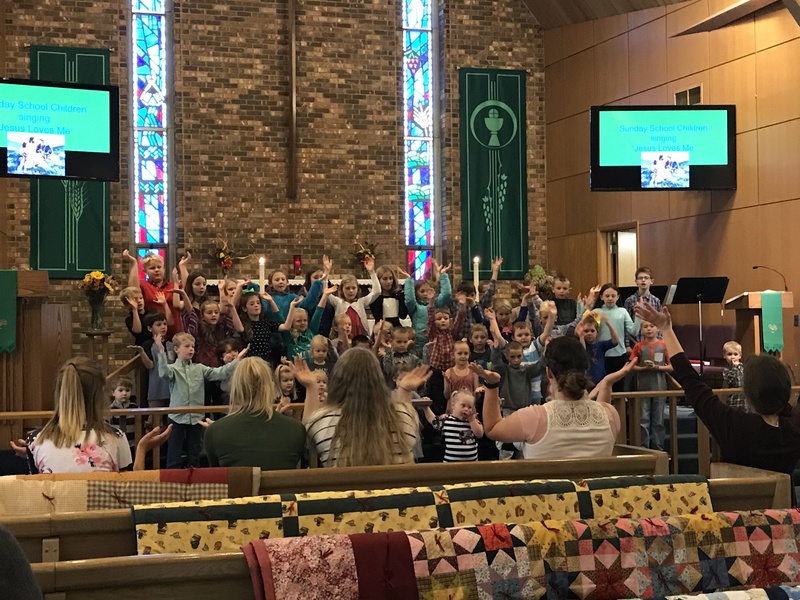 Special events are held to invite parents to Sunday school twice a year and the Sunday school program performs a "Christmas Program" during church one Sunday in December. New this year, the 5th & 6th graders will be meeting on Wednesday evenings from 6:15 - 6:45 pm. There format is called "Trinity in the Middle". A "Baby Book Club" is held the once a month (September thru May) for any child & their parents not yet in Sunday school. They meet at 9 am in the sanctuary to join the older kids in their opening or come at 9:15 am to the nursery downstairs. They read a book (which you get a free copy of), play, do a simple craft and enjoy a snack before worship.